A structure, such as a wall or chimney, built of bricks. 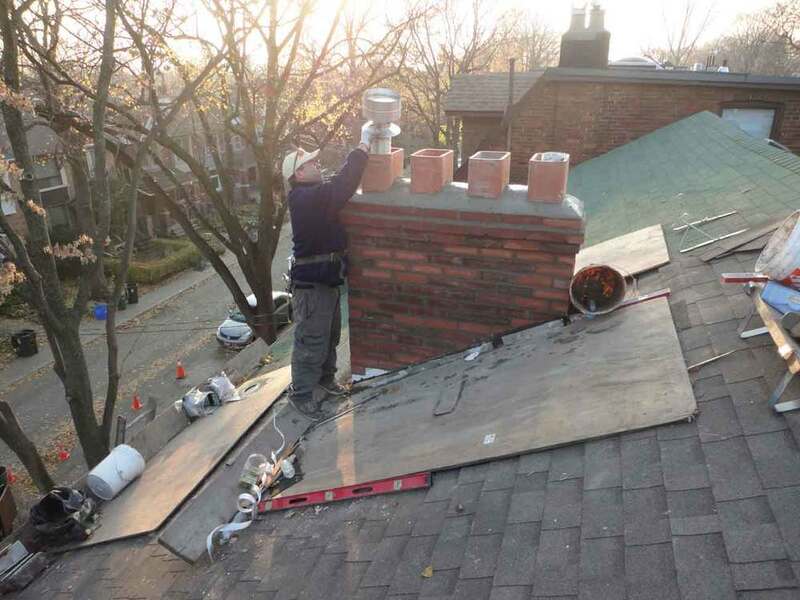 Set up roof protection due to chimney tear down. Chimney going up. Made to look rustic. One gas ventilation liner for the furnace is rotten so we must replace it. Chimney and clean up almost done.